All Cheat Sheets are customizable to your league settings so you can get the drop on your commissioners tricked out point settings. Accurate projections are the holy grail of fantasy football. Knowing which sleeper has the best chance to breakout and adjusting his projections accordingly is what we do best. This is where championships are born and how you'll win this year. When you combine our projections with your league points settings you get the total number of fantasy points to be scored throughout the season. Combine that with the players age, strength of schedule, bye-week, average draft position, value over baseline and next player data, and you're all set for the 2018 fantasy football draft. This is what your cheat sheet will look like online. You can sort, filter, print and export. Many, and I do mean many, league commissioners set up tricky league settings to skew one position or more to adjust their value up or down. If you're not paying attention the changes they make from the default will net them an advantage on draft day. You don't think your buddy or co-worker is doing this? Think again! We see this year in and year out, leagues with point settings that are wildly different than the default. This really puts folks in a bind, especially if you're using standard draft rankings and cheat sheets you can find online for free. Don't get caught with your pants down! Customize with us and we will make sure you draft a winning fantasy football team. I just wanted to thank you for all the help this year. Yesterday I competed in my 12-team league championship and won 122-73 for the first time in 4 years. I've never finished above 9th place but this year I decided to follow your draft guide... Thanks for all the work you and your staff put in so that I may enjoy the spoils of being the champion! That cheat sheet guide you have is fantastic...can't draft without it. Won my money league last week with the help of you guys. Thanks! Thanks for all of the help this year! 4 Championship teams! I will be returning to the well for years to come. I drafted based on your cheat sheet and even when people were riding me for picking the players I picked I made it to the super bowl thanks to you. I don't think they will say much this year. Thanks again. I'm proud to say that we help the vast majority of our members make it to the playoffs and they come back every year for the most accurate, yet customizable, draft guide and cheat sheets online. 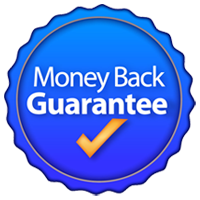 With so many successful years helping people like you win and countless return customers we're proud to offer our Playoff Guarantee. After using our fantasy football draft guide, tools and forum, if you don't make the playoffs we will immediately refund your purchase. Imagine winning your fantasy league, collecting that stack of cash has never been easier. We're so confident you'll make the playoffs and will enjoy our personalized support we're offering you this Money Back Guarantee. Never miss the fantasy playoffs again, Join now Risk Free and Win! I developed our cheat sheets for myself and use them to this day. Year after year our supporters come back for more, thank you to all of you for your support! One time charge means you'll only be billed once. Billed Monthly means you'll be billed each month until you cancel your membership. Projected points based on your leagues settings. Player value and next available players value. Fantasy Strength of Schedule for each player. Projected Available Round based on current ADP. Player and ADP statistics are updated nightly. Everything you need in one easy to follow sheet. You'll have access to a huge list of my personal picks! Print, export or use online and view all positions or an individual position. For you guys that play in IDP leagues we provide you with rankings for each IDP position and group. We break those rankings into tiers. Once those IDP players start getting drafted you'll know who's the best guy overall to draft for those IDP slots based on projected points. IDP isn't built into our custom draft cheat sheets, they are general overall type rankings. Our IDP rankings/tiers are separate spreadsheets you can print or export online. Jam Packed with everything you need in a cheat sheet! Back in the day I'd have 12 to 15 different printouts for the draft. One print out with bye week information, another with strength of schedule, another with tiers, sleepers, breakouts, age, average draft position etc.. This is the reason I made this cheat sheet system I'm pitching to you today. I made it for myself and it worked so well I started selling it back in 2009. The cheat sheets are customized to your league settings and contain the following information all on one sheet so you can quickly make educated decisions during the draft. Here's the info you'll have in this order: Player name, age, team, bye week, position, fantasy projection, average draft position, value (over baseline), projected stats, next available player (NP), NP ADP and NP value. Earning your respect in fantasy football isn't easy. Our Premium Fantasy Football Draft Guide ensures you make the fantasy playoffs! You already invest a considerable amount of time and money playing fantasy football which is why you should protect your investment by joining our team. We got your back and will help you dominate your fantasy football draft and ensure you make it deep into the fantasy playoffs. Nothing beats the feeling of making it to the playoffs and you owe it to yourself to make this year a winner! We spend countless hours researching and analyzing every aspect of the game and how to apply it to winning fantasy football. Don't waste your time! Let our staff go to work for you and take care of the time intensive research and point projections. Configurable up to the minute updates for up to 20 players of your choosing. Injury updates before, during and after the game. Relevant fantasy news, great for monitoring sleepers and emerging players. Game day inclement weather notifications - start a WR or QB in the pouring rain, not if you have our service. Not only can you customize your draft cheat sheet to your league settings all online with our fast and simple, yet powerful draft guide. We also provide you with strategies and mock draft analysis to help you get your head right before the draft. It doesn't matter if it's a standard league or PPR league we got you covered with proven draft strategies. We spend countless hours researching and analyzing every aspect of the game and how to apply it to winning fantasy football. Don't waste your time! Let our staff go to work for you and take care of the time intensive research and projections. The Fantasy Knuckleheads staff is always just a click away in our War Room, a forum based support area where we've helped turn 0-4 teams into playoff contenders and league champions. DFS stands for "daily fantasy sports" which you can play on sites like Fanduel, DraftKings and Yahoo. We provide all the stats and tools you need to build money winning lineups in both GPP and cash games. If you're like me, you play both DFS and standard (seasonal) fantasy football leagues. We provide superior stats and services to cater to both types of games. In the beginning, I created these tools for my personal use and I still use them to this day. Create killer stacks like the pro's for your GPP tournaments. Create multiple lineups in seconds and you control the variance. Consolidated statistics into one dashboard saves you time and helps you make sound decisions. Easily identify players to avoid. Quickly spot weekly price changes in player salaries to maximize your weekly picks. Cherry pick players based on the defensive weakness of their opponent. Use the Vegas odds to increase your accuracy. Compare the weekly price changes amongst daily fantasy sites like Yahoo, Fanduel and DraftKings.